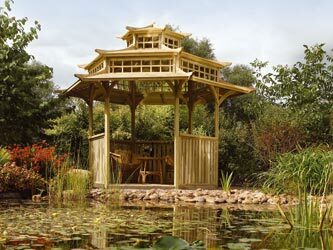 A six sided pagoda that opitomises the oriental influence so beloved by gardeners worldwide. As part of your Japanese garden this will be a stunning centrepeice and makes a wonderful focal point for any garden. Pressure treated natural timber finish. Supplied flat packed with easy to assemble instructions.